Everyone is inspired and enjoy art therapy by colours, these lovely varieties of colour pens is just perfect to start colouring. 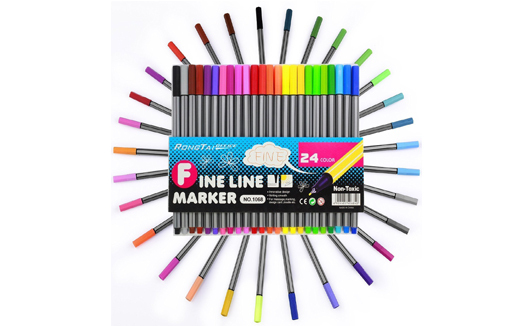 You can create gorgeous and intricate designs with these pens as they are just 0.4mm and come in 24 different colours. Treat yourself and enhance beautiful patterns with your sketchbooks.